Are you a student and, during your studies or training, you have created a project or a thesis in engineering and development? Then you've come to the right place! 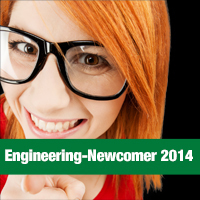 The best works will be awarded with an attractive cash prize for you and your educational institution. You want to be a part of this? 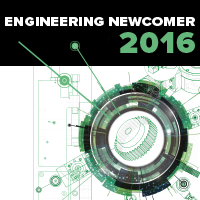 Then go ahead and confirm your participation immediately and register yourself or your team via the registration form for the Engineering Newcomer 2019 contest. We will then create a personal access to our cloud for you. You will reveice your login data and all other relevant information by e-mail and can then easily upload your project data until the participation deadline on 31 July 2019. As easy as that! Participation deadline is 31 July 2019. Conditions of participation and the registration form can be found here. 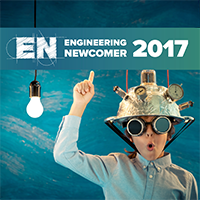 The most creative educational institutions are listed in our Engineering Newcomer Ranking - is your engineering school already in there? 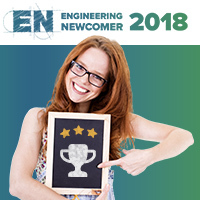 Since 2017, there has been a small extra for the schools: The educational institution on place 1 of the Engineering Newcomer Ranking receives a reward of 500,- €. Each project submitted corresponds to 1 point; the winning schools will be judged as follows: 1st place receives an additional 10 points, 2nd place will receive 6 extra points and 3rd place gets 3 more points. 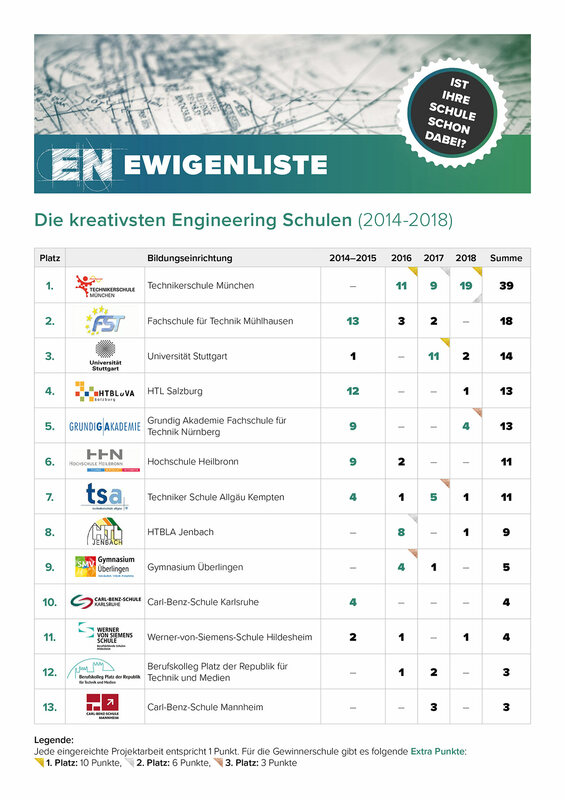 Yvonne Lang: Und hier hat uns nochmal ein Foto der NTB Interstaatliche Hochschule für Technik Buchs erreicht, danke. J. Haas: Das diesjährigediesjährige Plakat hängt natürlich im von der Cadeas AG unterstützen edu.lab! Yvonne Lang Vielen Dank Herr Haas für das online stellen des Posters und die Teilnahme am diesjährigen EN. Wir werden Sie mit dem Teilnehmer Geschenk berücksichtigen. Yvonne Lang Vielen Dank Herr Kaster für das online stellen des Posters und die Teilnahme am diesjährigen EN. Wir werden Sie mit dem Teilnehmer Geschenk berücksichtigen. Yvonne Lang: Das Hans-Böckler-Berufskolleg Köln hat uns dieses Foto geschickt. Vielen Dank dafür. Yvonne Lang: Und hier folgt schon das nächste Poster vom Berufskolleg Platz der Republik für Technik und Medien, Danke.